Welcome to Economics Arkansas’ Stock Market Game Program site! The Stock Market Game™ is a national program of the Securities Industry and Financial Markets Association (SIFMA) that allows students and teachers the opportunity to invest a virtual $100,000 in stocks, bonds and mutual funds throughout an engaging 12-week simulation each semester. A year-long session is also available that begins in September and ends in April. 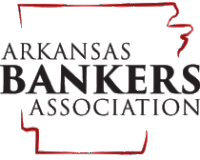 Economics Arkansas has been the facilitator of this program in Arkansas since 1999. We are excited to celebrate our 20th Anniversary this year! Stay tuned to hear more about our year long celebration. Don't miss your chance to become a 20th Anniversary Sponsor! and join us during the awards luncheon featuring Doug McMillon of Walmart Inc. as keynote speaker on May 13 in Little Rock to honor the winners of the fall 2018, spring 2019 and year-round 18-19 winners. The program is available to all grade levels but is more easily utilized in grades 4-12, college classes, after school programs and a teacher division. Arkansas is divided into six regions and three divisions: Elementary (4th-6th grades), Junior High (7th-9th grades) and Senior High (10th-12th grades). The top two within each region for each division for the fall and spring session will be honored at a statewide awards luncheon in the spring. The year long and after school competitions are divided into elementary, junior high and senior high statewide competitions. There is also a teacher division where educators may compete against one another. The college and teacher divisions are statewide competitions. The cost for a team of up to 5 members is $15 for the fall or session. The cost per team for the year long simulation is $30. To register for this simulation, visit www.stockmarketgame.org. Click here to view the winners of the Fall 2018 session. Click here to view the winners and sponsors of the Spring 2018 and the Year-Long 2017-18 session. "I had no intention of majoring in anything having to do with business. After the playing the Stock Market Game, I now want to major in finance and be a portfolio manager for a living. I really loved the nature and research of the market and thought that this game was a worthwhile endeavor. I would be willing to coach a team at the middle or elementary level to get more kids involved." Workshops are available for teachers wishing to learn more about this simulation. Visit the Events Calendar to learn when workshops are scheduled and to register. Trainings may also be scheduled for your district and /or Go-To-Meetings can be offered for teachers unable to attend trainings during the school day. To register for the teacher promotional game or the official game, log on to www.smgww.org. Once registered, teachers have access to the Teacher Resource Center which houses lessons, assessments, projects and publications to use when developing opportunities for your students. For a lively overview of how the program works, enjoy this webinar, produced by Marsha Masters of Economics Arkansas! Students are provided a topic and an investment scenario, which requires them to assess, research, and then formulate possible solutions based on their findings, logic and ideas. This writing component reinforces the student’s investment knowledge, promotes critical thinking skills and supports writing literacy. Students participate by writing essays in their grade division: Elementary (4-5), Middle School (6-8), High School (9-12). Let’s Trade Today! (30 min) - A quick overview of the SMG portfolio and how to get Stock Market Game students trading in their portfolio. Click here for a detailed schedule and registration links.